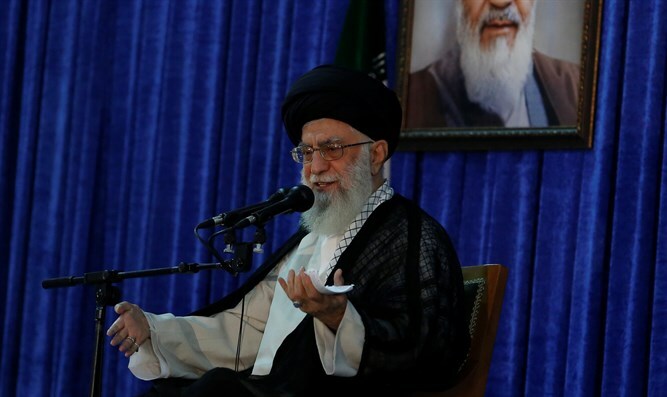 'No chance' Iran facing war, says Islamic republic's supreme leader, adding that Iran must nevertheless work to strengthen military. Iran’s supreme religious leader denied the rogue regime faced any possibility of a major armed conflict in the foreseeable future, but nevertheless called to strengthen the Iranian military. In a tweet on Sunday, Iran’s top cleric, Ayatollah Ali Khamenei, posted a message on social media, claiming that there was “no chance of” a military conflict, even as he called for the acceleration of efforts to strengthen Iran’s military capabilities. “In terms of political calculations, there is no chance of a military war,” Khamenei tweeted Sunday afternoon. Just days earlier, Reuters reported that the Iranian military had moved long-range ballistic missiles into Iraq. Speaking to Reuters, one Iranian official said that "the logic was to have a backup plan if Iran was attacked. "The number of missiles is not high, just a couple of dozen, but it can be increased if necessary."